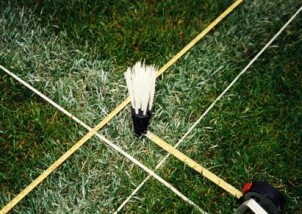 PliFix is a synthetic grass implant used for marking and locating various underground assets as well as marking lines on sports fields. Once installed in the ground, PliFix helps to indicate buried objects (tanks, sprinklers, cables, sensors, etc), show ground hazards and mark out building sites, camp sites etc. 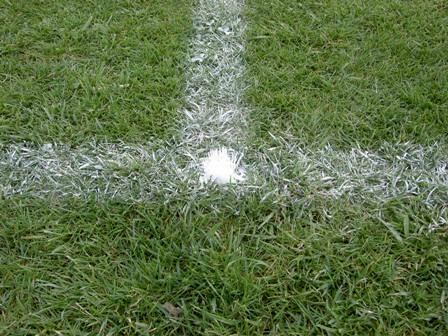 For sports fields, Plifix provides a very practical and cost effective way to mark positions on the playing surface and to mark locations for line marking with Plifix clearly visible in the grass. Plifix can be either left in the ground permanently, or moved as and when required. PliFix is available in a number of different colours. This allows you to use different coloured markers in order to mark different types of objects. For example red can be used to mark electricity cables, blue water pipes and sprinklers and white to mark lines for sports pitches. 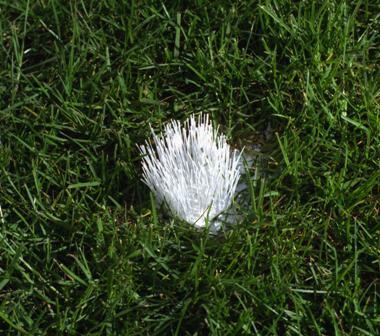 PliFix markers are simply knocked into the ground so that their coloured synthetic grass tops remain visible. When the grass is next cut, the Plifix is trimmed to the correct level. 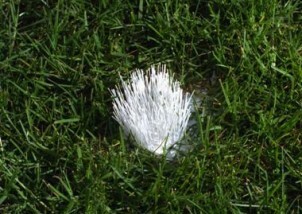 This means that they are still visible and are level with the length of the grass. 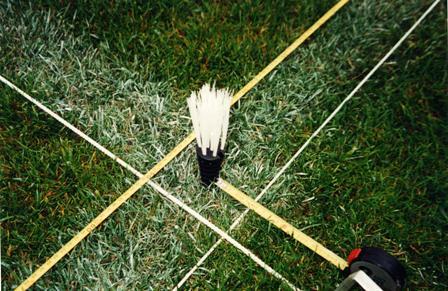 Plifix are synthetic grass implants used for marking out lines on sports fields, marking underground assets or other locations such as camp sites. Plifix markers can be installed for permanent use, or can be removed due to their screw out design. No more wasted time remeasuring. Simply rejoin the dots. Easy to install and safe for machinery and players. Available in boxes of 25. Available in blue, white, yellow, red and flourescent white colours. PliFix being measured and placed in turf. Being used as a marker for lines.